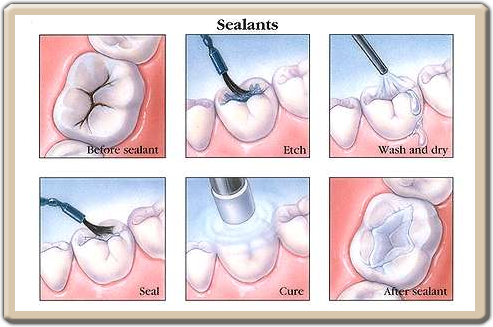 Sealants are a protective coating which adheres to the grooves of the teeth and helps prevent cavities. They are typically placed on your children’s six and twelve year molars but may be recommended on any tooth which has grooves deep enough to catch food. We also recommend sealants for adults with a propensity for cavities.